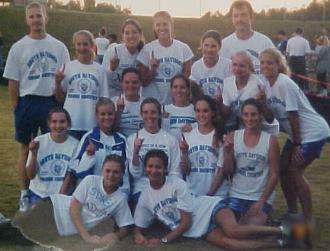 Mens Cross Country Team, Denton NC, in October 28, 2000 won the mens 1-A state championship. Coach Tony Pierce and Assitant Coach Tony Spoon led these runners to the first NC State Championship for South Davidson High School, Denton,NC. Clarence Kinley top runner for the Wildcats was first with a time of 16:38.15 he was all state ,all regional, conference,all county .Clemons Timm second for the Denton, NC Wildcats ran a 16:40.68 all state , regional, conference, and all county. Michael Lehnig all state, all regional. Lee Hamilton all conference, all county. Josh Jordon all conference, all county. Patrick Hogan all conference. these top seven runners had a score of 35 points . There were 12 schools that they competed with at McAlpine Park in Charlotte, N.C.. 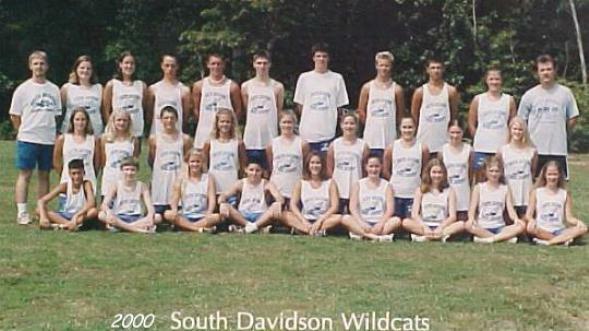 The whole team that was at the NC state meet in 2000 was made up of 14 boys Clarence Kinley , Clemens Timm, Michael Lehnig, Lee Hamilton, Josh Jordon, Patrick Hogan, Brian Decker, Stephen Johnson, Matthew Gallimore, Josh Smith, Brandon Harris, Matthew Hardister, Keith Hurley and Matthew Staggs. 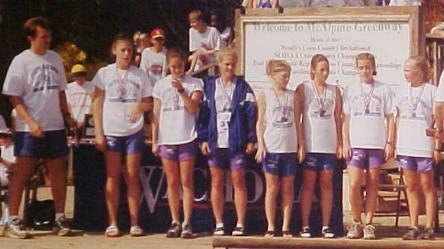 Girls team who came in 2nd in the State. Sarah Towery, Heather Lanier, Allison Cody, Jessica Smith, Megan Wisz, Tiffany Everhart, Ashley Harris, Colby Whitlock, Tracy Allen, Melissa Harrison, Brandi Hulin, Tyler Cash, Emily Smith, Jenny Harris,Amanda Morgan, and Emiley Maidson.